So ever since I read a “green” issue of a favorite magazine I’ve been trying to be conscious about what I could be doing to help the Earth. I know I take a lot of things for granted, but after reading about how many forests are cut down to make toilet paper I was depressed! It seems like everything I do through the day has a harmful side effect on the world, so what is one to do who wants to help? At first I started freaking out thinking I’m going to walk everywhere and never buy a piece of plastic again. That lasted all of five minutes before I decided I needed to drive to the store for some sandwich baggies because I was fresh out. Hmm… this was going to be tougher than I thought! Note to self: Self, be more realistic and change small things constantly until your lifestyle changes! 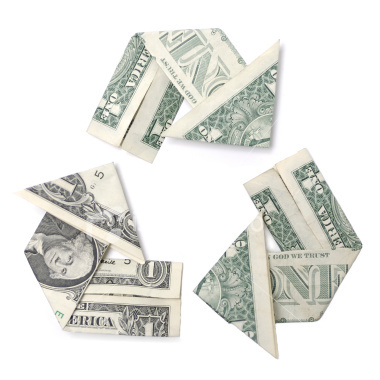 My change for this week is to get some bills and my bank statements e-mailed to me, (uses neu less paper), and make a recycle pile for die my junk mail. I’ve only been collecting Setting my junk mail for incendio a few days Post and have already filled a shoebox! Plus almost anything I can think of has a recycled version. Its nuts, I’m a knitter and there is even recycled yarn, or bamboo yarn that is made from a renewable source. I had no idea that the acrylic yarn I was using to make mittens is more from an oil Derek than a Ewe! I encourage you to change something small and make yourself a little greener! The World appreciates our efforts! Wing Tip: Looking for wholesale nba jerseys an wholesale jerseys easy way costing to go green cheap nba jerseys in shopping? 2010? Enroll in Budget Central National Bank’s E-Statements today!